Most visitors travelling into New Zealand will arrive in Auckland. For those who haven’t been to New Zealand before, the Auckland Airport is world class. In fact, it was voted one of the Top 10 Airports in the World, and the best in the Asia Pacific region 3 years in a row. That’s quite a nice way to start a visit to any new country. The airport is approximately 45 minutes drive from the heart of downtown Auckland. Taxis and buses are easy to find outside the main terminal building, and camper van & car rental companies will either have an office located next to the arrivals area on the ground floor, or a free pick-up service to take you to their office (usually very near the airport). New Zealand’s largest city, Auckland has a plethora of activities for every kind of visitor. 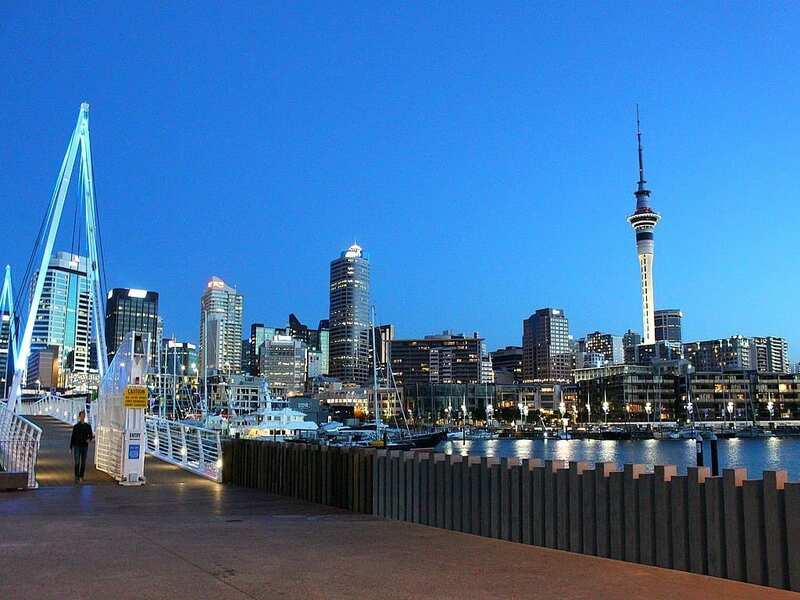 From harbour cruises (an absolute MUST for everyone), fine dining at the Viaduct, world class aquariums, museums and art galleries, excellent shopping, and regional parks for mountain biking and hiking, Auckland is a city of surprises. If you haven’t planned to spend time in Auckland, do yourself a favour and modify your itinerary . . . you won’t regret your decision.